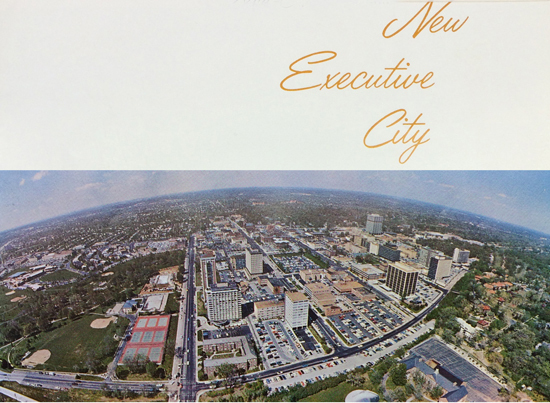 In 1968, Clayton commerce proudly featured the modernity of their “new executive city,” even defining “the Clayton Look” (above) in their brochure. 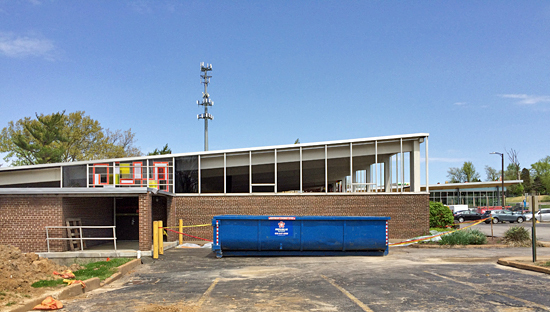 45+ years on, Clayton continuously seeks to – and does – demolish its mid-century modern heritage. 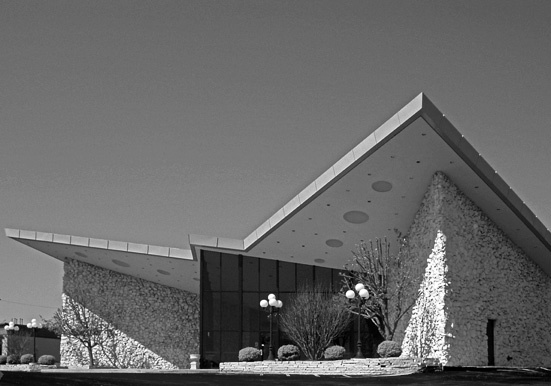 On Saturday, October 11, 2014 at 10am, join ModernSTL founding members Darren Snow and myself for a guided tour that is roughly 2 hours in length and less than a 3 mile walk. You will learn factual and interesting things about approximately 30 buildings much like the two shown above. 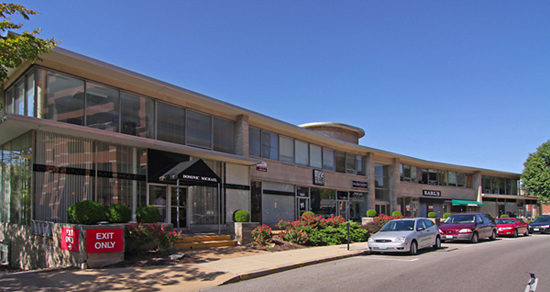 Downtown Clayton is an architecturally precise place, a city rapidly built after World War 2 to be thoroughly and proudly modern. But commerce and development cliches about “old buildings” constantly threaten to wipe out the core of what makes St. Louis’ second downtown business district so unique. 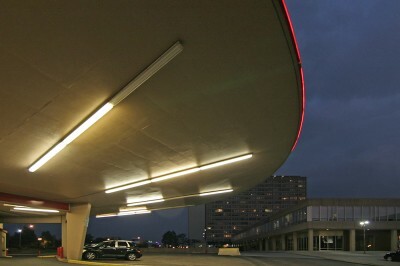 Read Making Money from Clayton’s Mid-Century Modern Buildings for the gist of our walking tour. Darren and I can almost guarantee to deliver you a few chuckles and guffaws along with an informal education. We meet at 10 am at the building above, the Clayton-Forsyth Building (learn more about it here) at 8230 Forsyth. Map to the starting point. 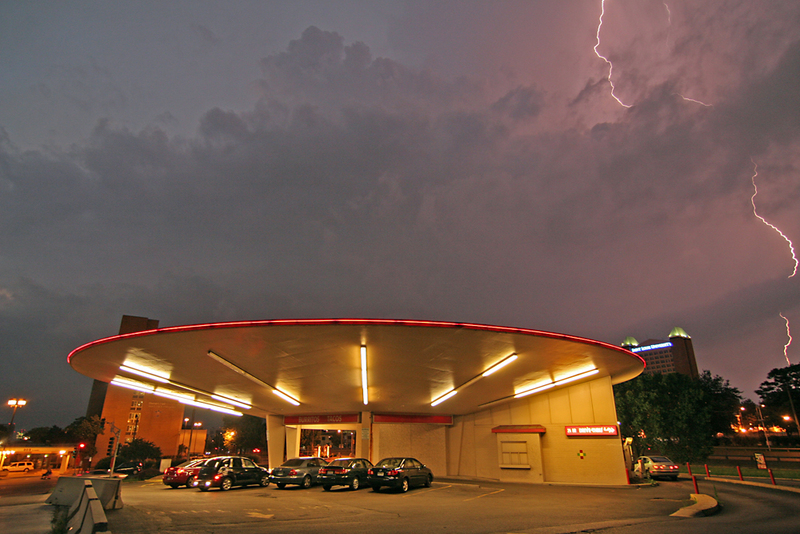 There is parking on-street in front of the building, as well as ample parking behind it. Enter parking through the driveways at either end of the building. 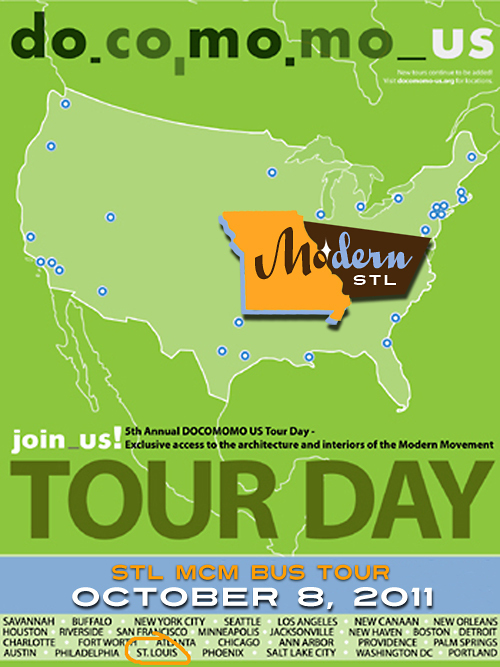 The tour is free for ModernSTL members (it’s insanely cheap to become a member ), and $5 for non-members, which is also insanely cheap. We look forward to seeing some Clayton MCM with you! 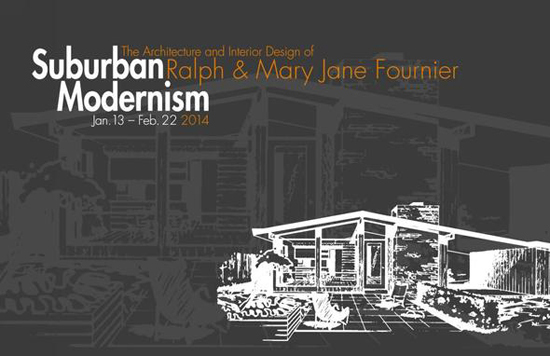 January 16, 2014 – It was a glorious moment in time for St. Louis mid-century modern architecture, the opening reception for Suburban Modernism: The Architecture and Interior Design of Ralph & Mary Jane Fournier. The Morton J. May Foundation Gallery at Maryville University was so crowded that people were gently perspiring on a cold night. 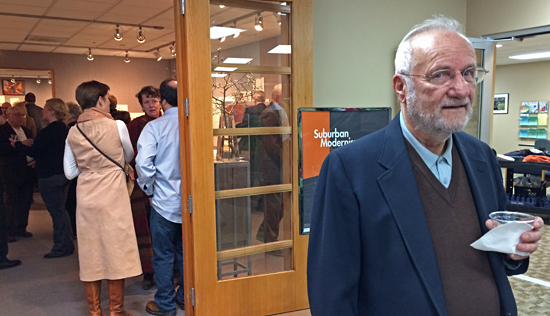 Retired architect/full-time painter Ralph Fournier (below) was bombarded with well-wishers, though he had a more personal and private viewing of his legacy with close friends and family earlier in the week. We’ll talk details of the exhibit that you must see before it closes on February 22nd. But, first, I want to trace the outlines of the story that made this moment in time so overwhelmingly glorious. 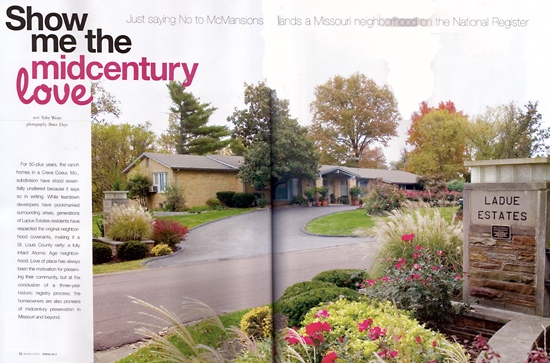 Two residents of Ridgewood – the subdivision that straddles the boundaries of Webster Groves and Crestwood, MO – were inspired to track down and talk with the architect of the homes they lived in from this November 2007 St. Louis magazine article about Ralph Fournier. Nathan Wilber and architect Neil Chace (both officers on the board of ModernSTL) met Fournier, and that is their story to tell. 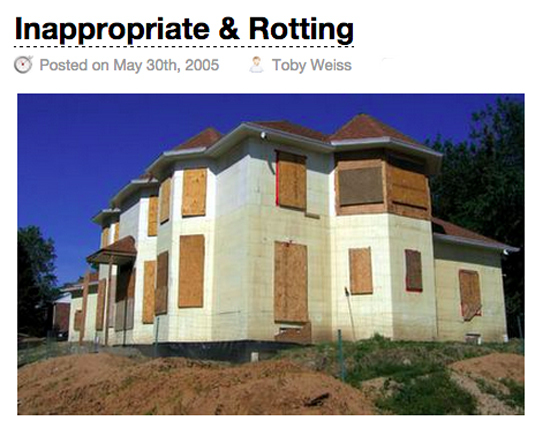 Then they began this blog about Ridgewood. 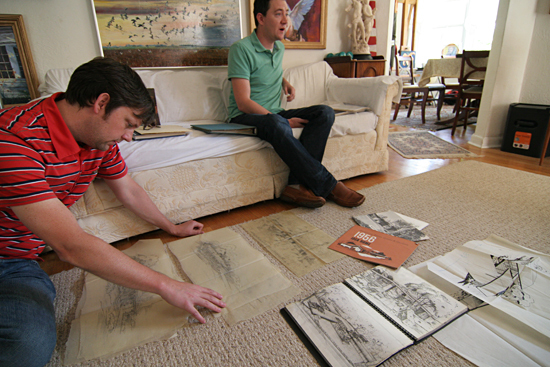 That’s Neil (left) and Nathan at Ralph’s home going over piles of his archived materials that he kindly pulled out of deep storage for us to pour over. See that look on Nathan’s face? That’s how we felt for the entire 2.5 hours that Ralph let us ask him endless questions while trying not to gush over a man we consider a rock star of the highest magnitude. 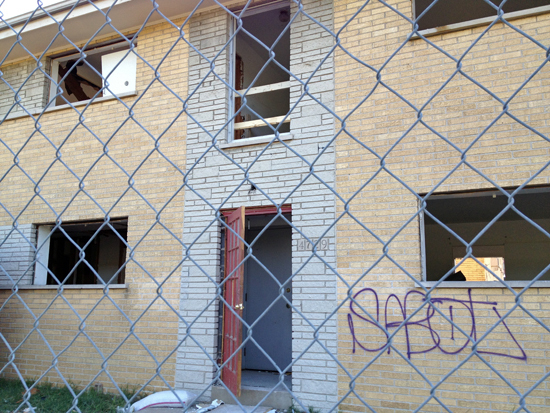 Along with Ralph’s candor, patience and excellent memory for detail, I was overcome by the walls of his home. Everywhere are his paintings and drawings, they’re even stacked up in piles on the floor. You can trace the continual evolution of his style that began when he retired in 1989 and made a full-time commitment to painting, with stops at portraiture, landscape, spiritual and travel scenes. The only thing absent in his gallery is architectural paintings, because he’d done that for over 40 years – there is so much more he needs to express. 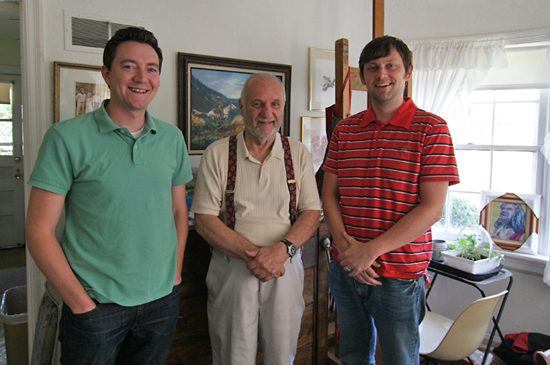 Nathan Wilber, Ralph Fournier & Neil Chace at Fournier’s home, July 3, 2011. We told him of our idea to make a documentary of his life and work, and not only did this unassuming man agree to take the journey, but – wait for this – he let us walk out of his house with those large piles of his architectural history! 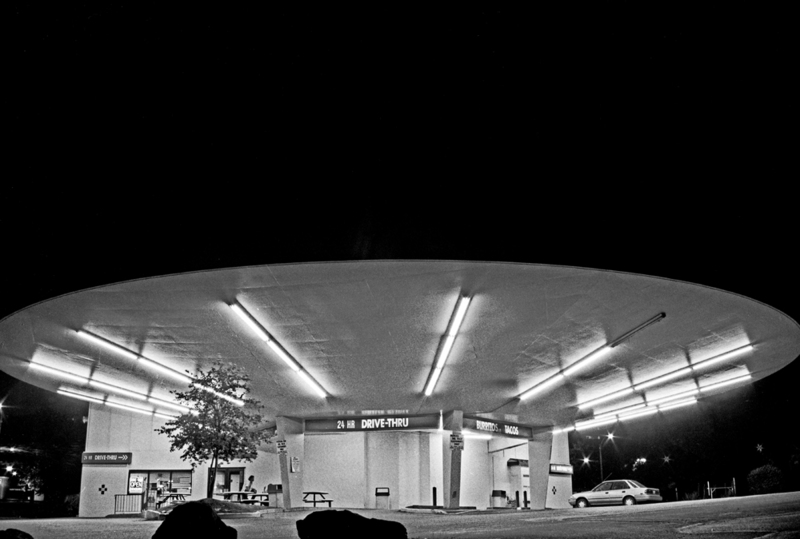 After we left his company, we stood dazed with disbelief on the sidewalk in front of his house. He had graciously shared his work and personal life with us, which made us realize that his life story perfectly summarized America’s mid-20th century: A young man who worked in an east coast factory, went to college, got drafted into World War 2, came home to finish school on the G.I. bill and started working as an architect right when America desperately needed new homes to handle the Baby Boom ( he and his wife, Mary, included). His story needed to be told. 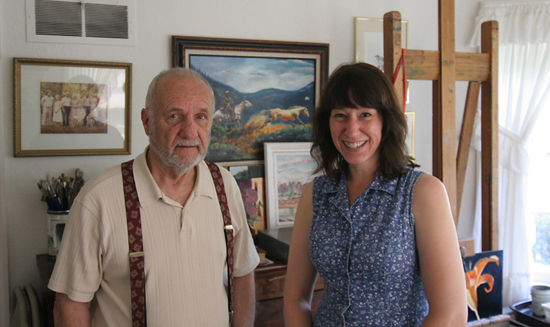 Ralph Fournier and Toby Weiss, July 3, 2011. We divvied up the pile amongst us, and spent the next few weeks scanning everything so we could safely return them to Ralph. Making a documentary is a giant task rendered gargantuan when those inspired to do so have no experience or skills with producing one. So the idea had a long germination period as we explored resources for making it happen. And we felt an urgency to do this because Ralph was 91 years old at the time. He had to remind us of this because we didn’t believe or comprehend it! 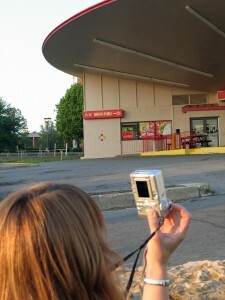 Near the end of 2012 a fairy godmother appeared to magically make the documentary happen. 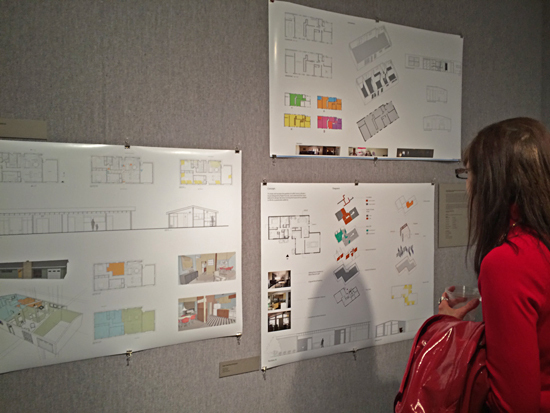 Jessica Senne, AIA, NCIDQ, is a professor of Interior Design at Maryville University. She had the desire and resources to not only make the documentary, but it would be just one part of a larger exhibition she would stage of Fournier’s work. She shared her vision, and we loved it. We turned over the scanned files of Ralph’s work and set the wheels in motion for Jessica to meet Ralph and help cement her exhibit ideas. 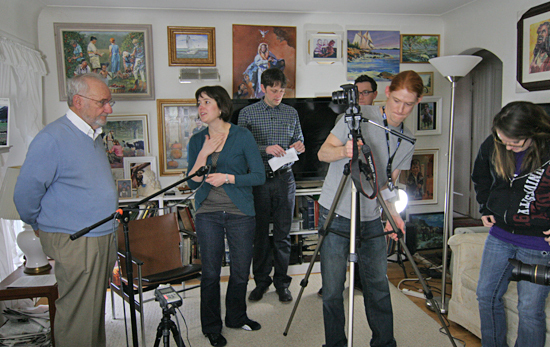 Documentary filming day at (left) Ralph Fournier’s home, February 2013. Jessica Senne is to the right of Fournier. Jessica and her team of student volunteers and college faculty worked diligently throughout 2013 to procure funding for the exhibit, and to program and build all the pieces of the exhibit and documentary by the January 13, 2014 deadline. The effort and labor of love that went into that is her story to tell. What she and her crew accomplished is magnificent! 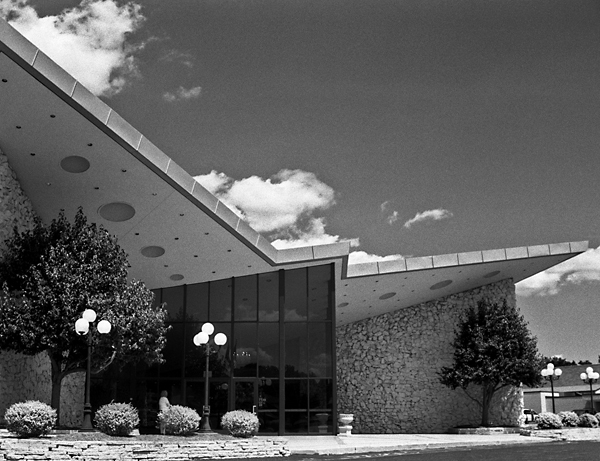 The exhibit Suburban Modernism is masterfully laid out to convey the width and depth of Fournier’s architectural contributions to St. Louis. 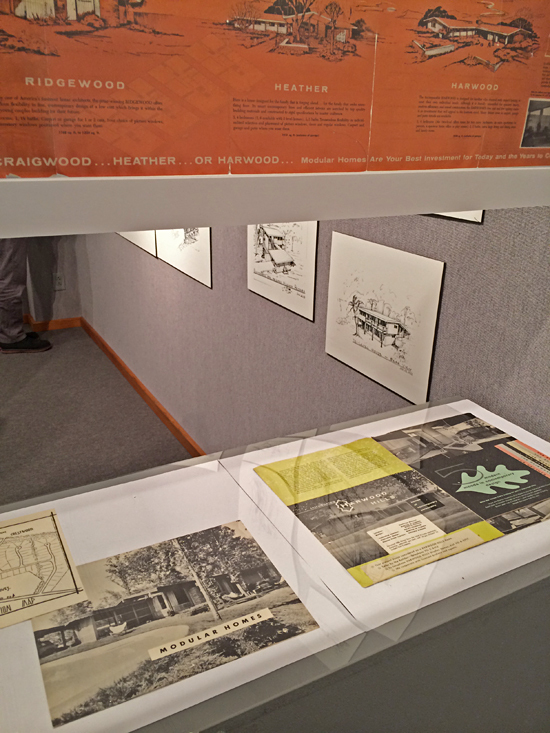 The story is told through Ralph’s own drawings and photographs, plus sales brochures and magazine articles as the subdivisions unfolded onto the St. Louis County landscape. It’s a multi-media gallery, which enlivens the 3-dimensional resonance of residential architecture. Above are drawings made of existing Fournier homes lived in by 3 separate ModernSTL board members. 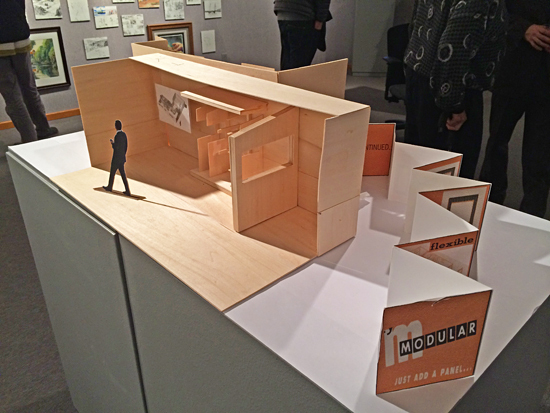 Jessica’s students did a measure and photo of these homes to create the plans, and even built a life-size replica of the wall partition panels used to construct these modular homes, as well as a scale model (below) to show how Fournier’s designs feel. 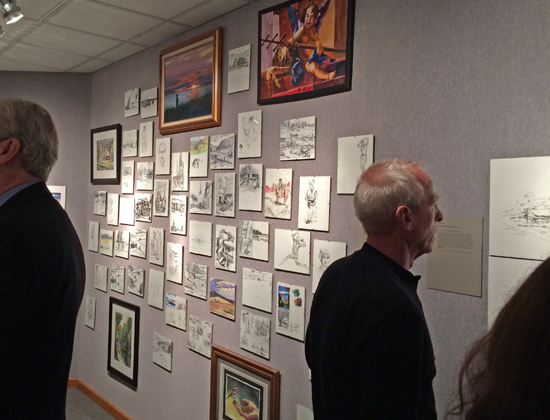 Along with beautifully framed color renderings on trace paper by Ralph, and modern day color photos of some of his custom designs, they filled the back wall of the exhibit space with replicas and actual copies of Ralph’s art work (below)! 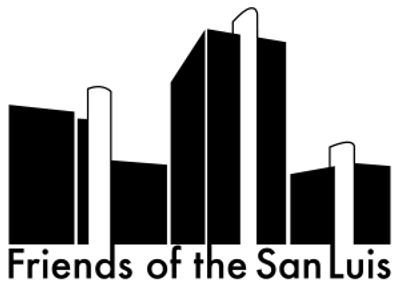 You walk away with a clearer understanding of the man who helped make hundreds of affordable, modern homes for St. Louis families, homes that still stand and serve beautifully today. What makes this installation so exceptional is that it celebrates a residential architect. Modern architectural careers and legacies are primarily based on public buildings, like office towers, museums and government commissions. 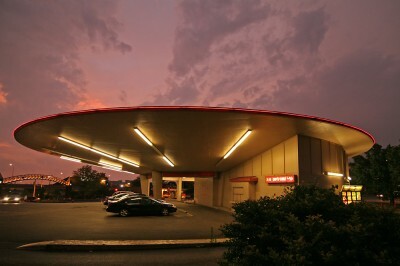 Architects long ago abandoned the residential design aesthetic championed by Frank Lloyd Wright, Charles & Ray Eames or Pierre Koenig, to name a few. Just when America needed a lot of homes real fast is when the majority of talented architects turned their attention to big, visible projects with large budgets. And those are the projects and names usually cited in text books and popular opinion, even in St. Louis. It’s important to shine a light on a dedicated residential practitioner like Ralph Fournier, someone who genuinely cared about how to make daily life beautiful, pleasing and affordable to young families, and who had the genuine talent to make mass production feel like your personal work of art, even to this very day. All of these details are expertly and engagingly covered in the video documentary narrated by Ralph Fournier himself. 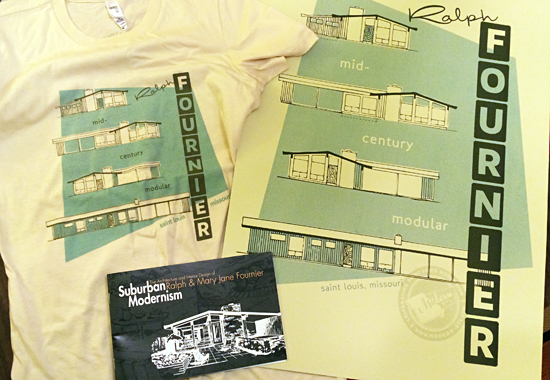 I walked away from Suburban Modernism with a booklet (available at the gallery), a T-shirt and a poster (available through ModernSTL). I haven’t had this much concentrated swag since mooning over David Cassidy! And I am profoundly grateful to everyone who stayed true to the vision of bringing this body of work to life, and paying respect to the man who generated it. And many a huge thank you to Jessica Senne for making this happen. You have until February 22, 2014 to experience it firsthand. The Morton J. May Foundation gallery hours are generous, open until 11 pm Monday – Thursday, until 7pm on Friday and Saturday nights, and Sunday from 11 am – 11 pm. 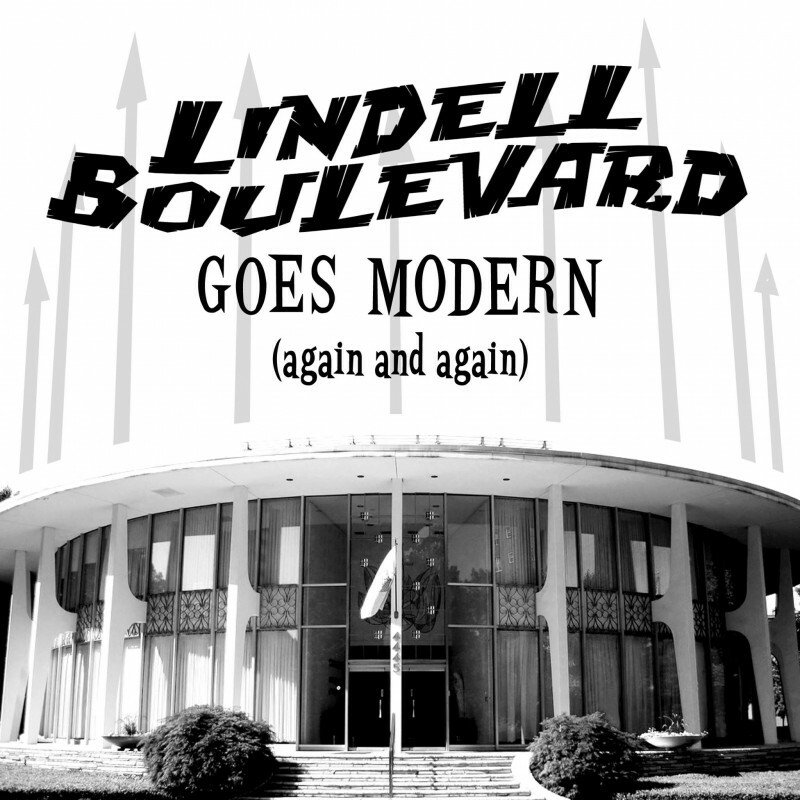 It’s free, so there’s no excuse to miss it if you have even a passing curiosity about St. Louis’ mid-century modern residential history. If you read this blog, that’s you – so go! 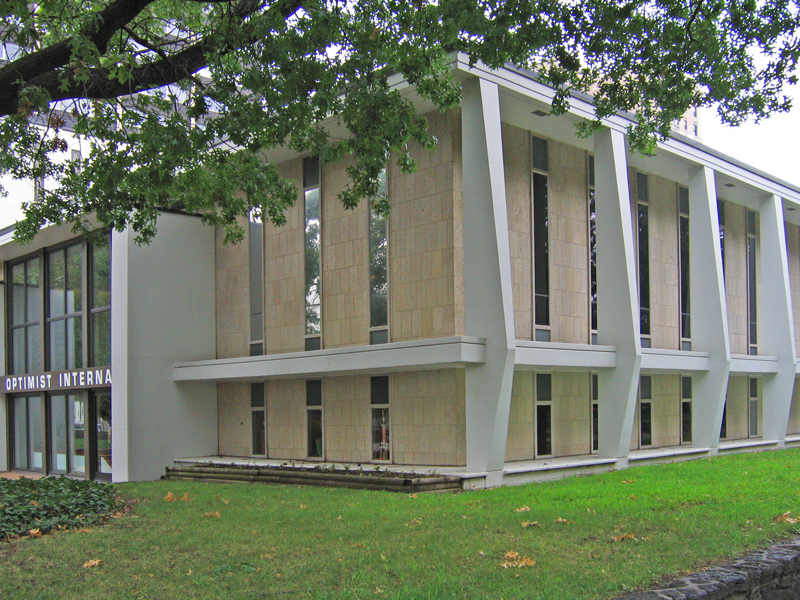 Ladue Estates is the first mid-century modern neighborhood in Missouri to be added to the National Register of Historic Places. This is such an accomplishment that it even got the attention of Atomic Ranch magazine, who feature the subdivision in the current issue (also marking the first time they’ve covered St. Louis, period). 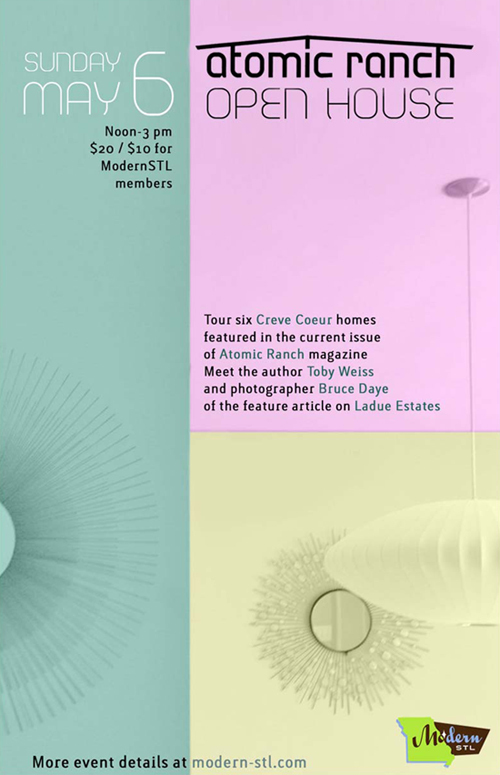 To celebrate all these milestones, ModernSTL and the fine people of Ladue Estates are throwing an Open House on May 6, 2012, from noon – 3 pm. 6 historic ranch homes will be open for your inspection and amazement. Me and the photographer – Bruce Daye – of the Atomic Ranch article will be at the ticket tent to sign copies, if you’re so inclined. 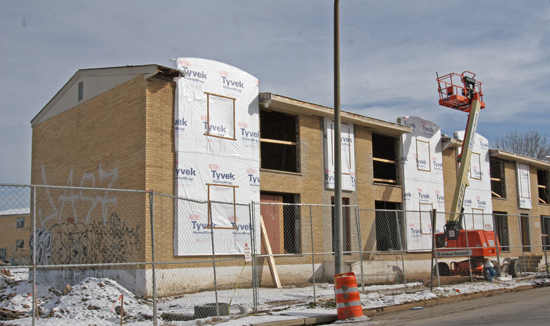 $20 for 6 homes in this atomic neighborhood, $10 if you’re a member of ModernSTL. 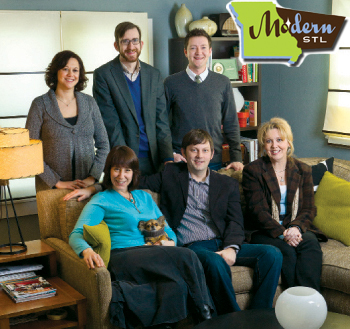 You can join ModernSTL on the day to get the discount. Here are more details and photos about this event. This includes a map to Ladue Estates, parking and ticketing information. 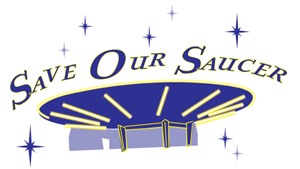 If you are MCM ranch home-inclined, you will love meeting the homeowners of Ladue Estates. 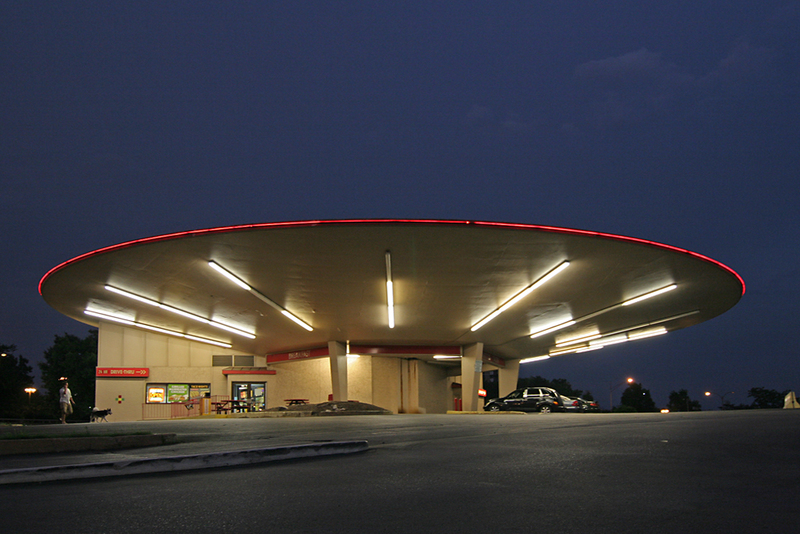 If you are a die-hard Atomic Ranch reader, you will love having the pages come to life. 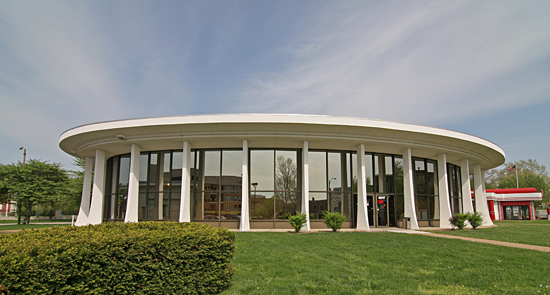 How would you like to take a tour of some of St. Louis’ best mid-century modern residential, commercial and spiritual buildings? 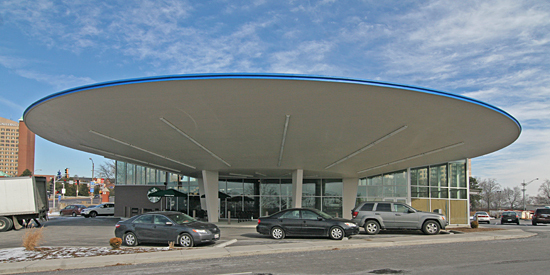 You can just sit back and leave the driving to Modern StL on October 8, 2011, from 9 a.m. – 1 p.m.
$25 puts you on a bus with either Michael Allen or myself as your tour guide, along with other ModernSTL board members sharing their areas of expertise. 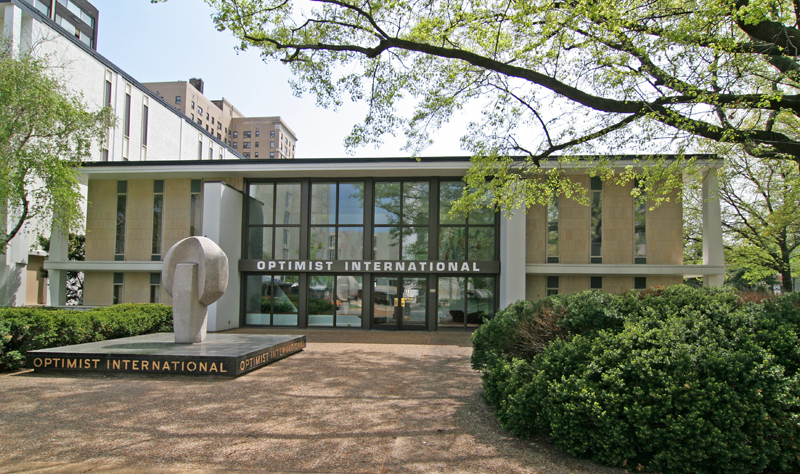 It begins at 9 a.m. with a tour of the Ethical Society hosted by architect and Harris Armstrong scholar Andrew Raimist. It ends at 1 p.m. with a narrated tour of Priory Chapel. Between, we cruise through Downtown & Mid-Town St. Louis and some finer residential mid-century modern. Details are still being ironed out, but it’s guaranteed that you will learn, laugh and love the architectural gems of St. Louis even more than before! ModernSTL was asked by DOCOMOMO to be a part of this nationwide, weekend event celebrating the Modern Movement. 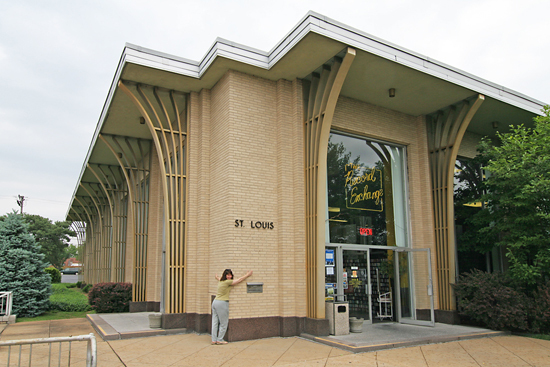 The American mid-century modernist symbol is on our river front, so we’re thrilled to finally have St. Louis represented in this 5th annual Tour Day. Advance ticket purchases are through PayPal at this link.